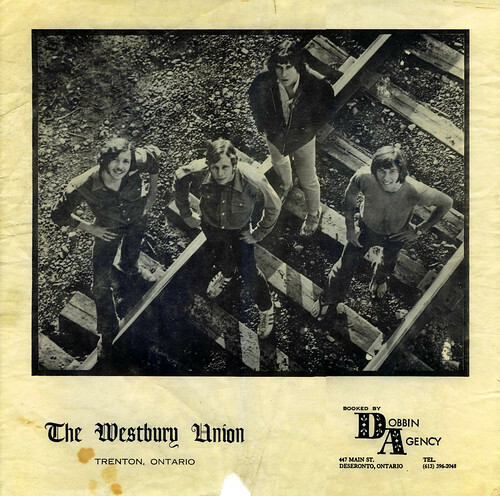 The Westbury Union were a Trenton-based band formed in the late 1960s. Karen Whaley, the daughter of one of the band members has shared a photo album of the band on her blog, Say It With Pie and also on Flickr. The Deseronto connection? The band were booked through the Dobbin Agency, based at 447 Main Street. Thanks to Karen for permission to share these photos here. We’d be interested to hear from any local residents who remember dancing to The Westbury Union’s music in the late sixties or early seventies, or anyone who has information about the Dobbin Agency. 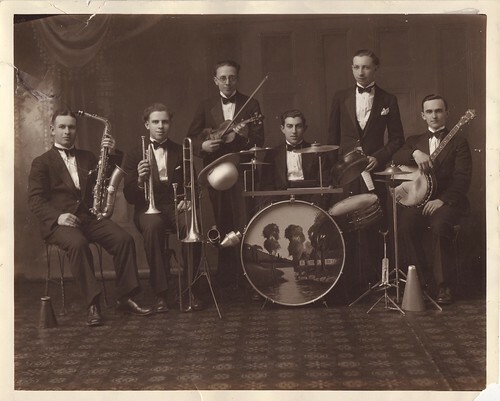 The 100th photo in the Archives’ Flickr collection is this shot of the Circle Six Orchestra from 1932. This popular orchestra is composed entirely of Deseronto boys and has been organized for the past five years. Since this photograph was taken the traps player, James McVicker, has added a set of temple blocks to his equipment. Reading from left to right the players are – Reginald Dawson, Roy Woodcock, Clayton John, James McVicker, Marshall Woodcock and Roy Kitchen (now a resident of Tweed). 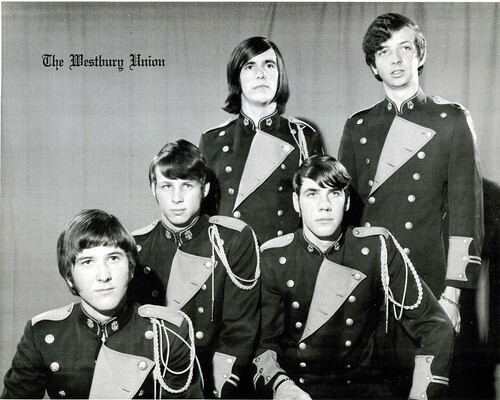 We’d love to know more about this band and its members.